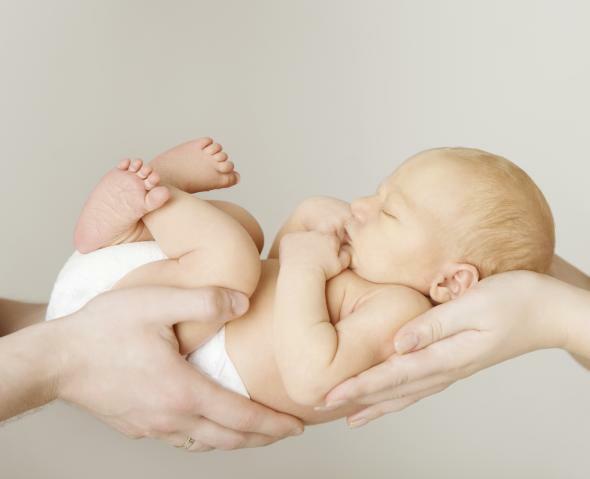 Three-parent babies are ethical, says government panel. Babies With Three Parents? Bioethicists Say That’s A-OK.
Congratulations, it’s an ethical baby! There are number of serious diseases that mothers can pass along to their children by way of the mitochondria, which are the intracellular organs that serve as the “digestive system” of the cell. Currently, mothers with mutated mitochondrial DNA are advised to use donor eggs if they want to have children. Because mitochondrial sperm is only found in eggs, and not sperm—and as such only mothers can pass down the associated diseases—scientists recommend limiting the procedure to making only boy babies for the meantime. This way, if there are any unforeseen side effects in a three-parent baby’s mitochondrial DNA, it will not be passed down to future generations. According to an NPR story on the procedure, some critics fear that it could introduce unforeseen errors into the human gene pool that might lead to new diseases. Others worry that it is a slippery slope from replacing mitochondrial DNA to the creation of designer babies, offspring that has been genetically modified for beauty, intelligence or to be disease-free. These issues came up in the debate over three-person babies that took place in the United Kingdom last year, where the procedure was ultimately okayed on the basis that the potential benefits outweighed the risks. At the House of Lords, Lord Robert Winston, fertility doctor and in-vitro-fertilization pioneer, said, “I don’t believe, my Lords, in spite of what we’ve heard this evening, that this technology threatens the fabric of society in the slightest bit.” The majority agreed.